Co-Op option for beta invites are a thing now. OVERKILL's the Walking Dead is set to hit this November 6th on PC, Xbox One and PlayStation 4 with four player online co-op in tow. PC gamers that pre-order the title from the PayDay developer will get access to an exclusive closed beta. Today, the date and details of that beta have been revealed. Closed beta access is guaranteed with PC pre-orders of OVERKILL’s The Walking Dead, available now via Steam. Players who purchase the game’s standard edition will receive a single closed beta invite, while deluxe edition pre-orders will receive four closed beta keys to share with friends. Additional closed beta details will be shared with the community soon. That's right folks, if you pony up the cash, you can be a co-op hero and get beta access for you and three of your friends. 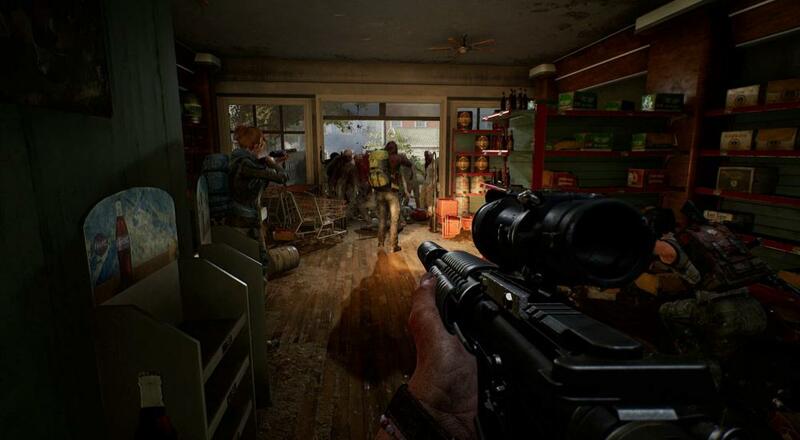 The game promises to not just be another Left 4 Dead clone, with a focus on the playable character's backstory, rescuing survivors, and tactical setups. Expect plenty of inspiration from the graphic novels that share the same name. The closed PC beta will begin on October 9th. The date was revealed in a developer live stream, which we've posted below. Page created in 0.4742 seconds.